Helping you keep your operating cost low while allowing ultimate access to premium equipment. Moving dirt? We have the excavator for you. 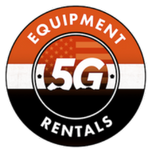 Whether your job requires a walk behind skidsteer to spread bark in the back yard, a bulldozer to level a piece of land, or a backhoe or excavator to give that plot of land a freshen up, 5G has the tools for you. Call for availability or advice on which machine will suit your needs. When your job requires you to go up, there is only one good way to get it done. We have lifts for small areas, indoors and outdoors, that have the ability to articulate up through, over, or past obstructions. We also have machinery that will take you straight up and over things like small buildings or trees. We have trailers for every type of job. From small to large trailers, ours sturdy trailers are capable of hauling everything from heavy equipment, tools, yard debris, construction materials, and more. Keep in mind, there are laws in place on what kind of vehicles are legally and safely allowed to pull certain trailers. Quality people, quality equipment. Just good to work with. I drove by two other rental shops to go to 5G and I was not disappointed. I needed a boom lift to finish a job at the last minute. 5G Rentals had exactly what I needed, when I needed it, to get the job done. Came in to rent a ditch witch for my sprinkler system instead i got a Vermeer awesome suggestion from rick. All sorts of attachments including a trencher. Great customer service, timely and efficient. My go to rental yard.